The first DLC expansion for Destiny 2 releases tomorrow with Curse of Osiris, and a new launch trailer has provided an extra glimpse at what to expect, including the new locations on Mercury, a look at new strikes, and a tantalizing glimpse of what to expect with the raid lair. Check out everything to expect from Curse of Osiris. The 1:59 teaser shows off a bunch of quick details, but you’re going to get a whole lot more out of it by watching the video yourself. Most notably, the new raid lair looks to feature a fair number brand new locations and challenges. We’ll be waiting a bit longer for full details, but the lair seems to go beyond the simple remix some players were fearful of for new paid content. It hasn’t been quite a straightforward road to Curse of Osiris, as various issues around the game have had the community very concerned about Destiny 2’s long-term future. There was the unclear XP scaling system, and a general lack of post-game content to keep players coming back. 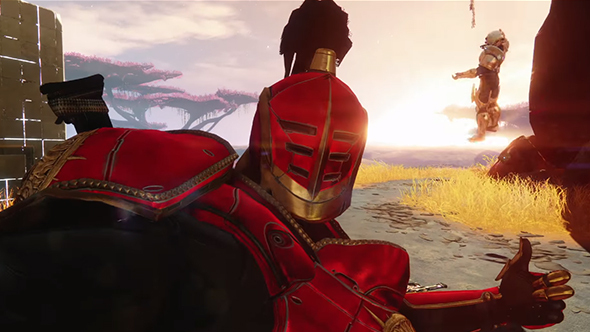 A series of three streams intended to fully reveal the new DLC was cut short as Bungie addressed those concerns. Preloads for the Curse of Osiris update begin at 8:00 PST / 16:00 GMT, and the content will go live after server maintenance concludes that day. If you’re interested in diving into Destiny 2 for the first time, you can do so with the recently-released free trial.